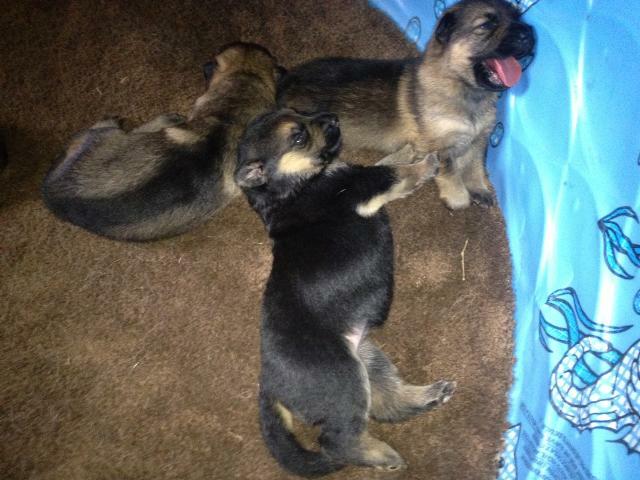 The dam is Black and Tan, the sire is Sable colored. 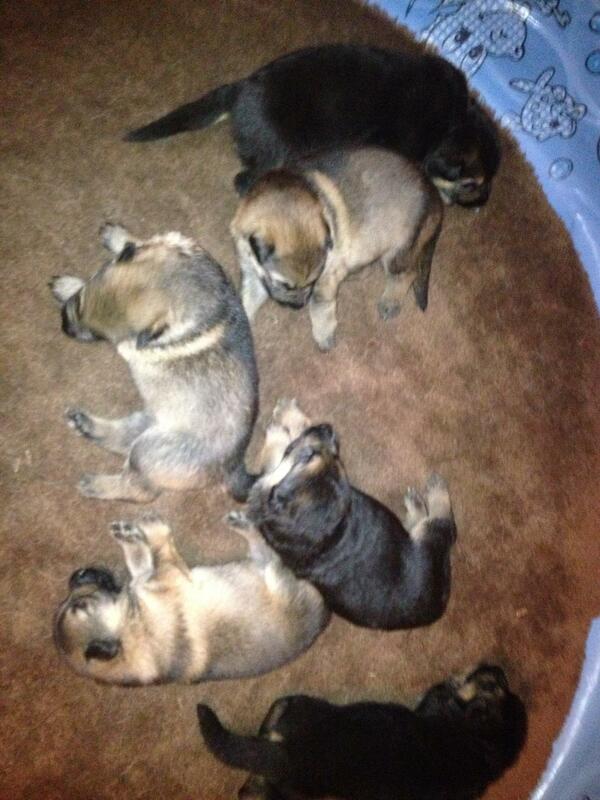 Puppies are sable or black and tan. Call us to see them and reserve your puppy today.